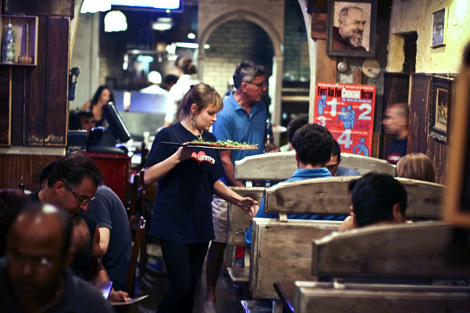 Anyway, when we walked in, a slightly jumpy waitress seated us (seemed like she was the only waitress in the whole mid-sized pizzeria). “Are these tables OK? Ok bella, I love you.” And disappears. I looked at everyone at the table…”Did she just say she loves us?” Everyone heard the same thing. I’ll take it. Turns out the older waitress would be mumbling a lot of non-decipherable things throughout our meal. But not in an annoying way, it was sorta endearing. Maybe because I was so entertained by her, it was like she was a caricature to me. 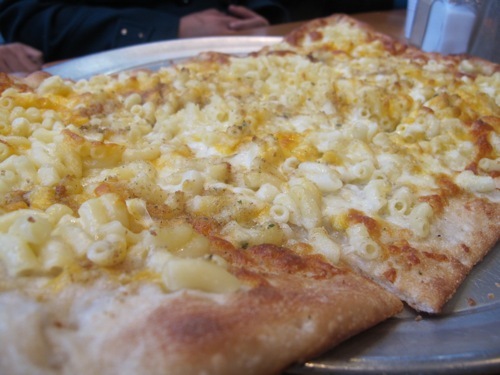 We decided on two grandma pizzas: their Caprese (diced Roma tomato with fresh mozzarella and basil) and the Mac and Cheese just for fun. The pizza’s are big, 12 slicers and we had a moment of panic thinking that between the 6 of us, 24 slices would be impossible. But yeah…not after those first bites. 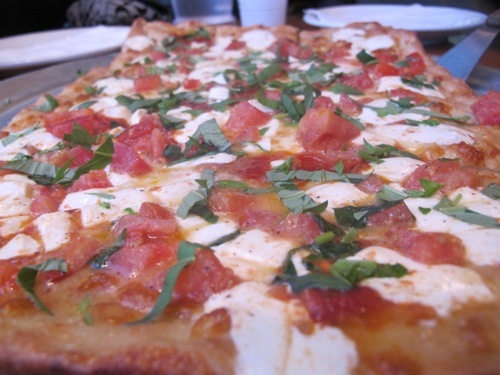 The pizzas were delicious and flavorful without all the fussy dressings. 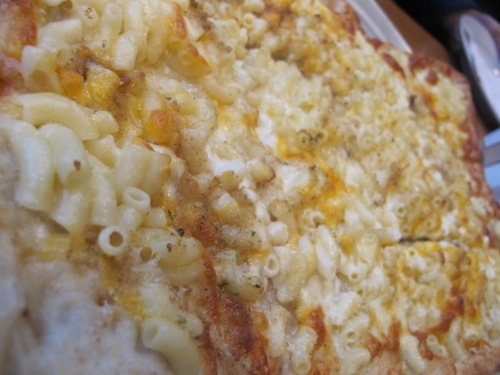 The Mac and Cheese is simply that — pizza topped with noodles. This one was slightly more bland since the noodles are just plain, unseasoned carbs, but add a little bit of salt (yes, salt) and hot pepper and it’s perfection (to me, anyway…what do I know?). Oh and that waitress, came back carrying a new pitcher of water each time. By the end, we had three or four full pitchers. I kinda enjoyed her spazziness. Occasion: Cousins and co. visiting NY! 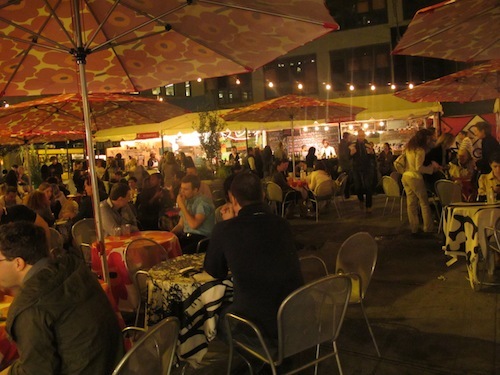 Last day to catch Madison Square Eats! 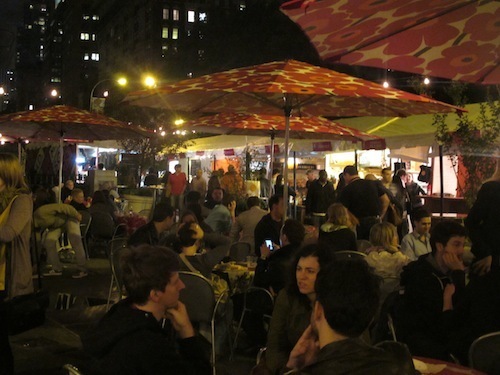 If there’s one thing you do tonight, I’d suggest checking out Madison Square Eats if you haven’t yet! I realize this might be sort of a disservice to tell you all about this so late in the game, but since there IS one more day to catch it, I figure why not. I have been passing by it for months but I FINALLY stopped by last week. 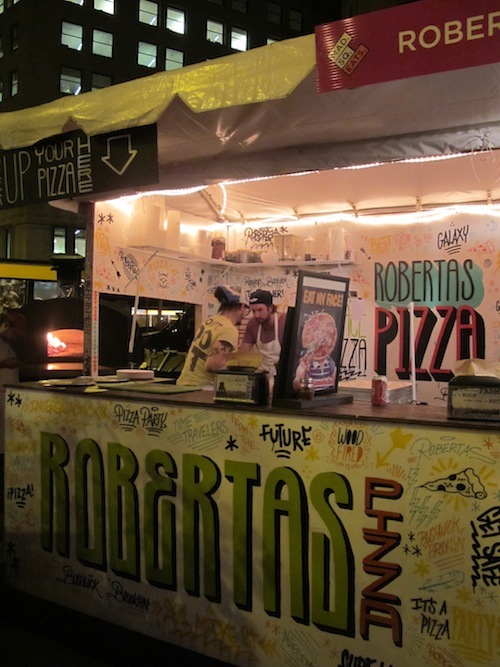 They have outposts from some of the best restaurants and food carts in Manhattan and Brooklyn all in one place. The tables and canopy of lights give it such a pretty ambiance too. 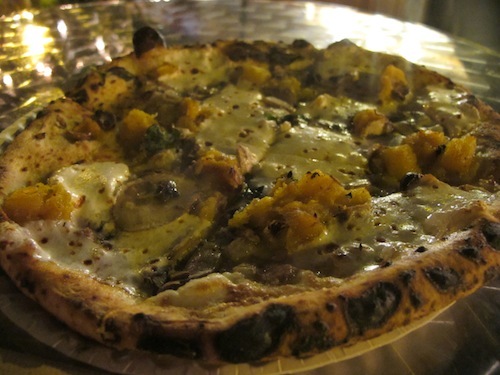 I wanted a burger from Graffiti but they had run out so I walked down to the Roberta’s Pizza booth and ordered a seasonal personal size pizza with squash, mushroom, thyme, and basil. Delicious! 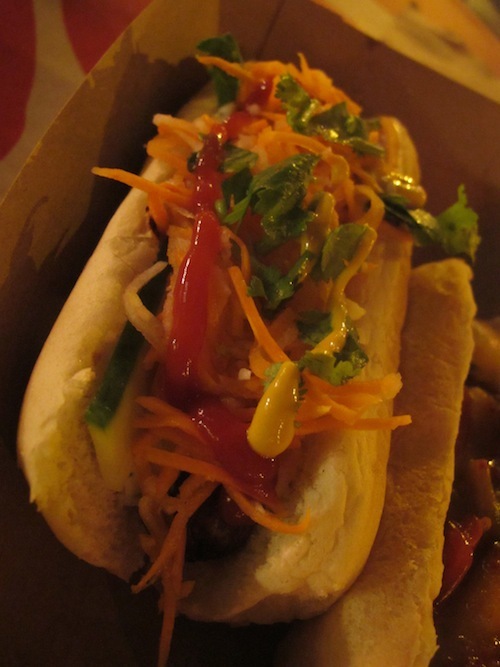 My friend went to Asiadog for a kimchi and chicken organic hot dogs. 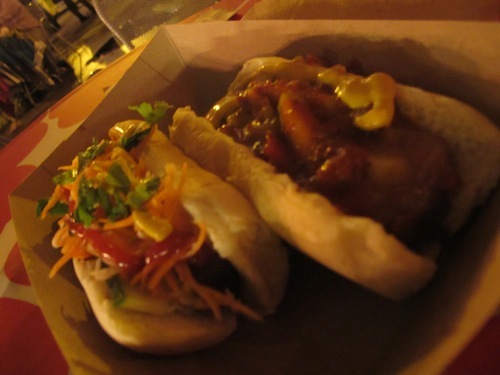 I don’t even think I can’t even remember the last time I had a hot dog, but these were so good. Everything is decently priced too. It’s such a quintessential NY experience so if you haven’t gone yet, check it out! It’s open until 9pm and again, tonight’s your LAST chance to catch it so bring your appetite! Located on Broadway, near 24th street :). 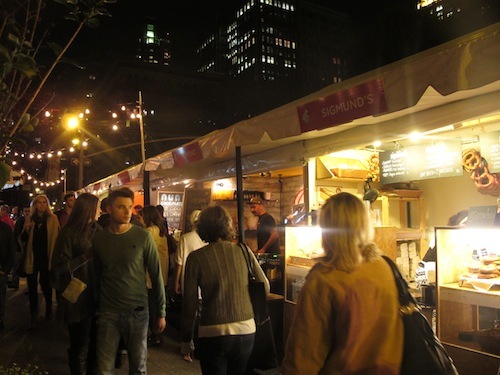 Participating restaurants include: Almond, Asiadog, Bar Suzette, The Cannibal, Fatty Snack, Graffiti | Mehtaphor, Hong Kong Street Cart, Hot Blondies Bakery, ilili, Junoon, Macaron Parlour, The Milk Truck, Momofuku Milk Bar, Nunu Chocolates, Perfect Picnic, Red Hook Lobster Pound, Roberta’s Pizza, Robicelli’s, Sigmund’s, Spices & Tease, Stuffed Artisan Cannolis, and Wafels & Dinges. 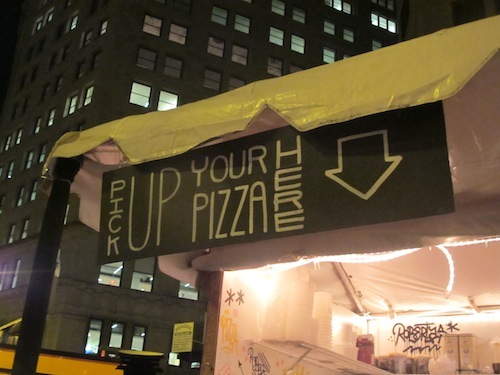 Contrary to what you might think, there’s not a lot of pizza places I really love out here. I think my Midwestern roots keep me from loving thin crust as much as I should (although not gonna lie, you will probably never see me refuse a slice). 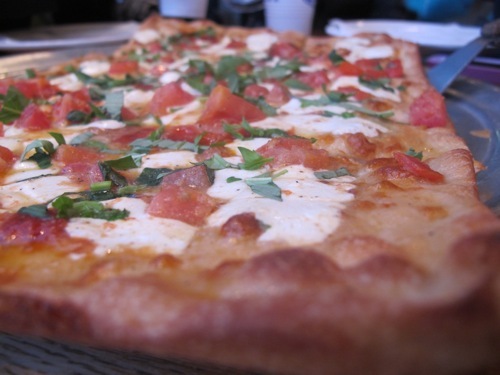 I tried Luzzo’s in the East Village a few months ago with friends, and I actually really enjoyed the thicker crust of the brick over pizza that you find here. The size of the pies are not huge, but the slices are thick so don’t let it fool you…two pies easily fed four people with some slices to spare. 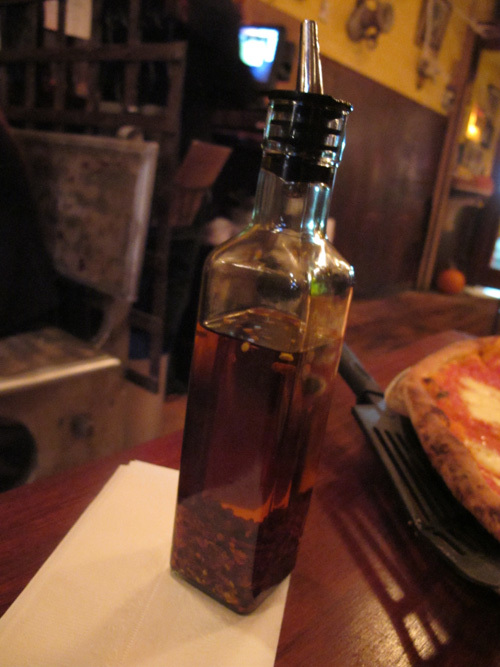 If you can handle spice, be sure not to forget to use the red pepper oil to dip your slices in. 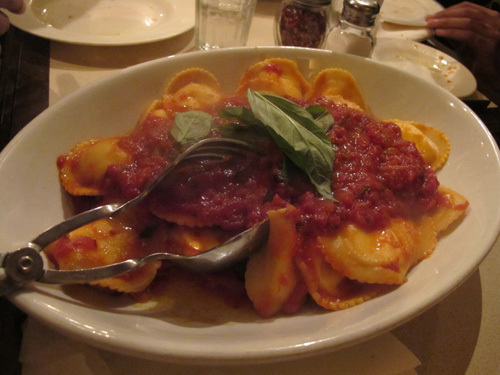 If you ever need a quick solution for a group dinner, the family style portions of Italian dishes Patsy’s (a chain in NYC) are not only generous but just so delicious. On a recent visit, my friends wanted to order the Penne alla Vodka, but I was rooting for the Pappardelle alla Toscana (pappardelle with sun-dried tomatoes, wild mushrooms, aged parmigiano and pecorino cheese in a creamy sauce). 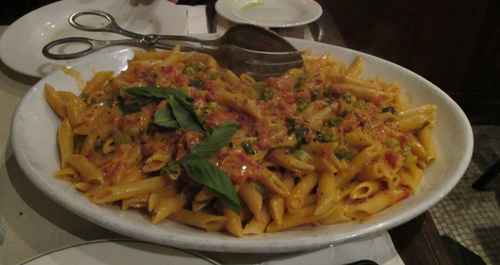 I lost over a game of rock, paper, scissors though and we ordered the penne. I was actually surprised at how tasty the seemingly simple dish was. 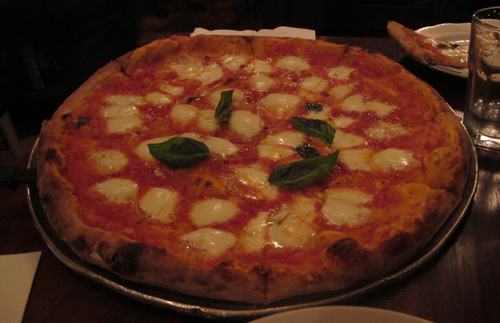 I normally find some of the Italian restaurants to be more of the same, but here, I think the brick-oven pizzas and pastas are quality, not too expensive, and FILLING. A great combo. btw 10th and 11th St. 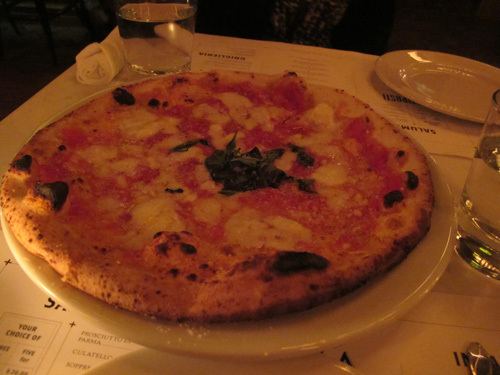 I actually found out about the quaint Roman-style trattoria Emporio in Nolita through my friend Archana’s blog at LettuceVeg.com. She took much better pictures than I did with my camera too, but I’m glad I went on her recommendation because everything we had was delicious. 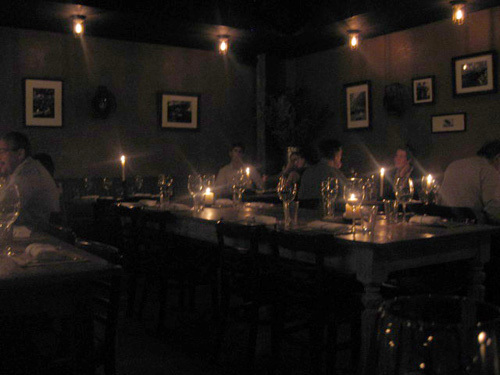 Plus, I was obsessed with the candle-lit back room where we had our little girls night. The middle of the space has communal tables. Though, if you want more privacy, the booths along the sides have curtains you can pull on either side so you block out the distractions. 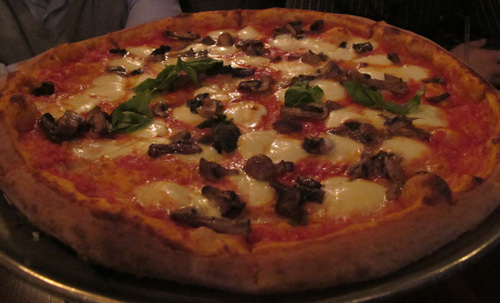 We thought we ordered a more special pizza, but alas...it was pretty plain. 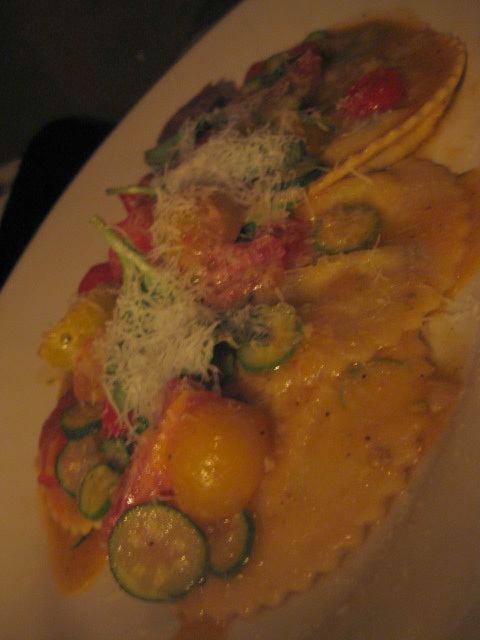 My favorite was the ricotta ravioli with tomato and baby zucchini. It was so fresh and delicious. 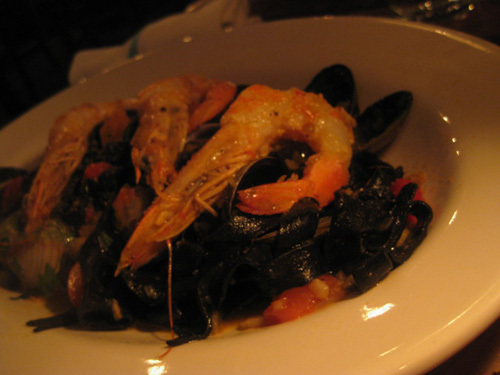 The Squid Ink Fettuccine was a little too seafood-ish for me! 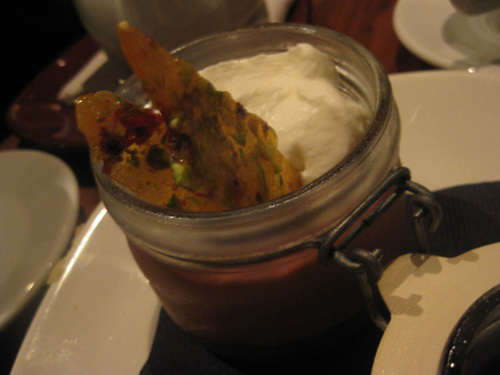 Afterwards, unfortunately, we had an underwhelming dessert experience at Balaboosta. 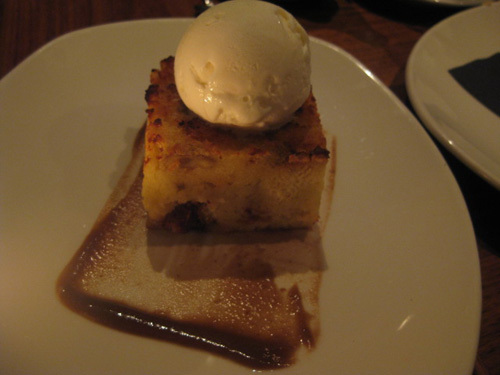 We originally had planned to go to Village Tart, one of my favorite dessert spots downtown but it was closed for some reason (and PS, I just found out yesterday that it’s closed down for good…stab in the heart). So we decided to head over to Balaboosta which wasn’t too far away. It was my first time there and it’s a really cute Mediterranean restaurant. The special of the day was a some pistachio dessert with chocolate and whip cream and all sorts of goodness, but when we sat down, we were told they just ran out. But honestly, the rest of the menu sounded good, so I’m not writing it off just yet. I’ll definitely go back for another meal — just not for the dessert this time. 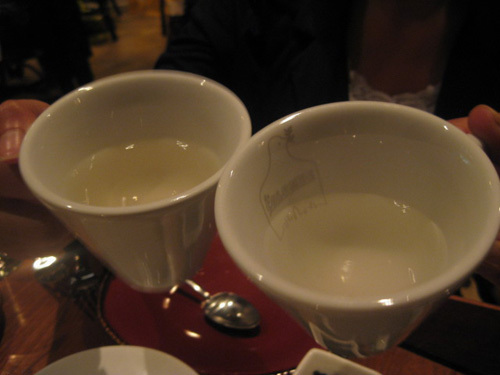 Best part was when we ordered our mint tea…which wasn’t really mint tea. It was instead, hot water poured on top of mint leaves. Which basically tasted like hot mint water. Eh. Can’t win em all.